Headaches can be cured naturally: Dr. Cass Ingram proves the headache connection to toxic foods, food additives, and chemicals. 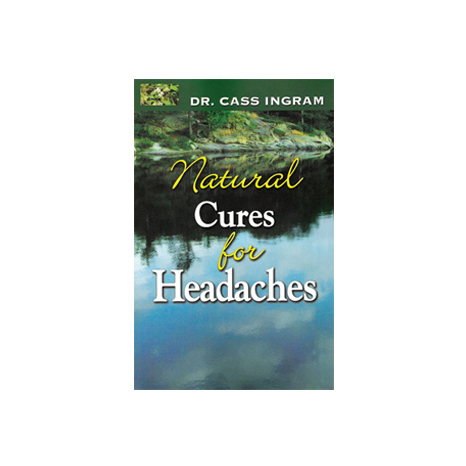 Headaches can be cured naturally: Dr. Cass Ingram proves the headache connection to toxic foods, food additives, and chemicals. Also, learn the hormonal connection to migraines and how to reverse them. Discover the role of structural imbalances, heavy metals, dental fillings, nutritional deficiencies, chronic infections, drug toxicity, and much more and how to naturally correct them. Learn the food allergy connection and how to stop it. The cause of headaches can be found and reversed—without drugs. A special herbal formula which rapidly eliminates migraines is included, plus a special section on fast-acting trigger point therapy.